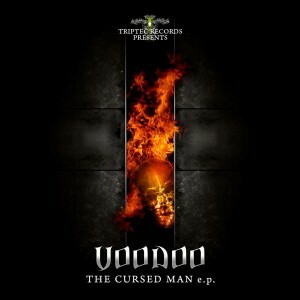 Triptec Records blasts back into action with The Cursed Man, a new release by Voodoo (Ruben Daniel B.R. Matos), a psytrance producer from Portugal. Expect high-intensity sonic mayhem as the beat drops hard and heavy on this fierce release! Mastering by Sergio Chaves with artwork by Wastage Graphics. MP3 Download | FLAC Download | WAV Download · Download count: 6,738. YOU Are The BEST COMMUNITY!!! Thanks all engaged people who was working on that release! Second track is the best! Sounds like a fire flames. Amazing work! big ups to Triptec & Ben…. stay away from voodoo people … it ruins your soul ..